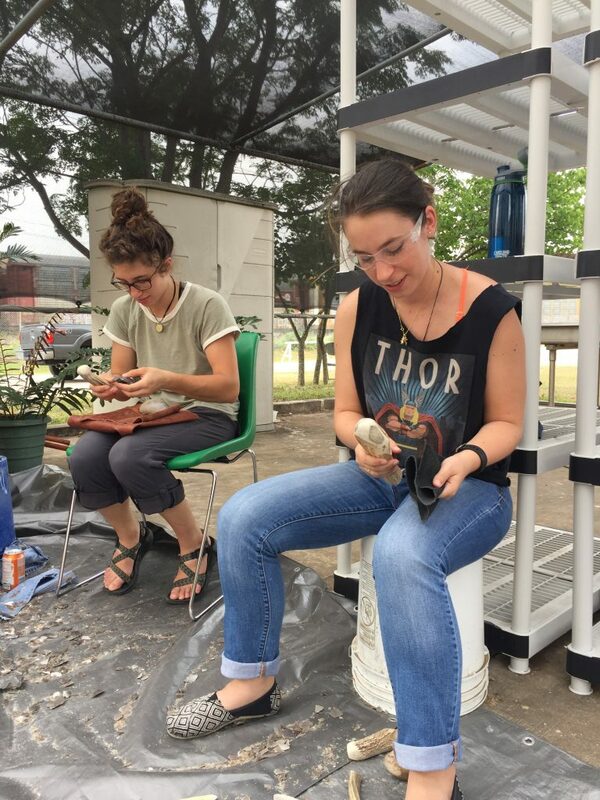 This Saturday, TARL held another free, hands-on workshop for experimental archeologists and those interested in learning more about prehistoric lithic technologies. Our flintknapping workshop was led by expert knappers Chris Ringstaff of TxDOT and Dr. Robert Lassen of Texas State University. 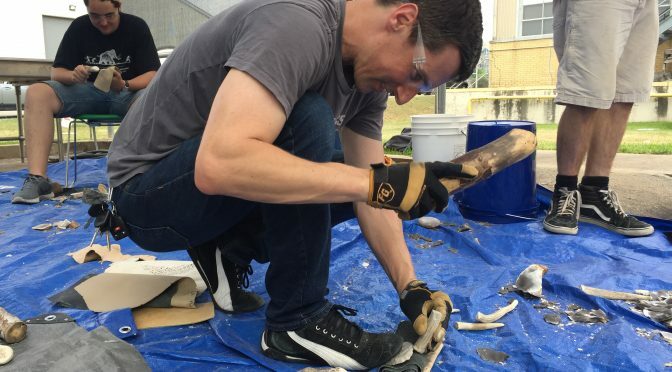 A dozen or so workshop participants, ranging from undergrads and first-timers to seasoned knappers and professionals, showed up to try their hand at flintknapping. 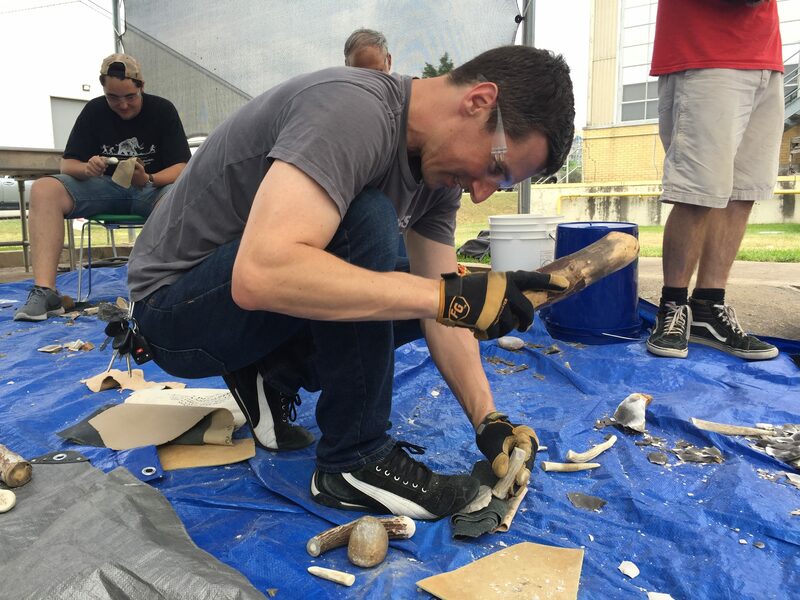 The instructors covered a variety of knapping techniques including hard- and soft-hammer percussion, pressure flaking, and indirect percussion. They brought several hundred pounds of our local Edwards chert and other raw materials for participants to use. 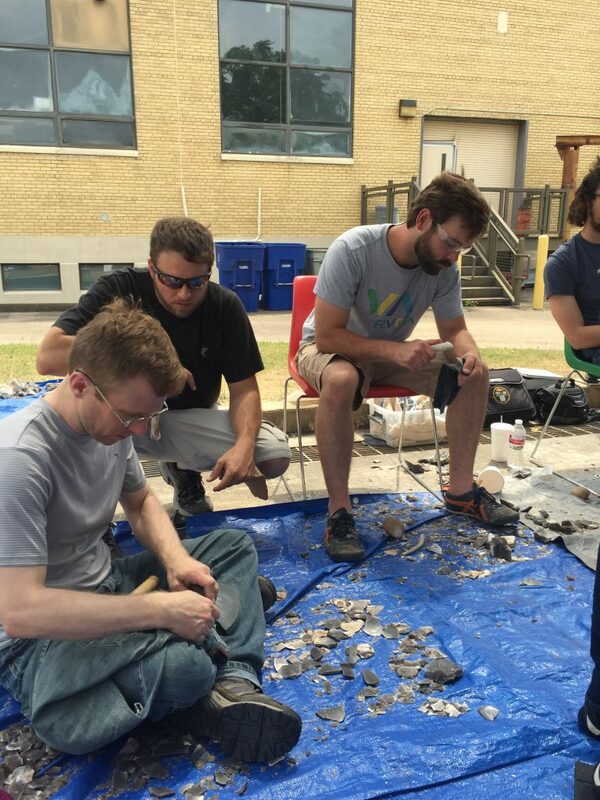 Everyone had a fun day and gained some new insights into prehistoric stone tool production, lithic analysis, and subsistence techniques. Thank you to our incredible instructors for putting so much time and effort into making this a great workshop! If you have suggestions for future workshops that would benefit you as a student or archeological professional, please let us know! We want to continue providing useful and fun opportunities to the community. 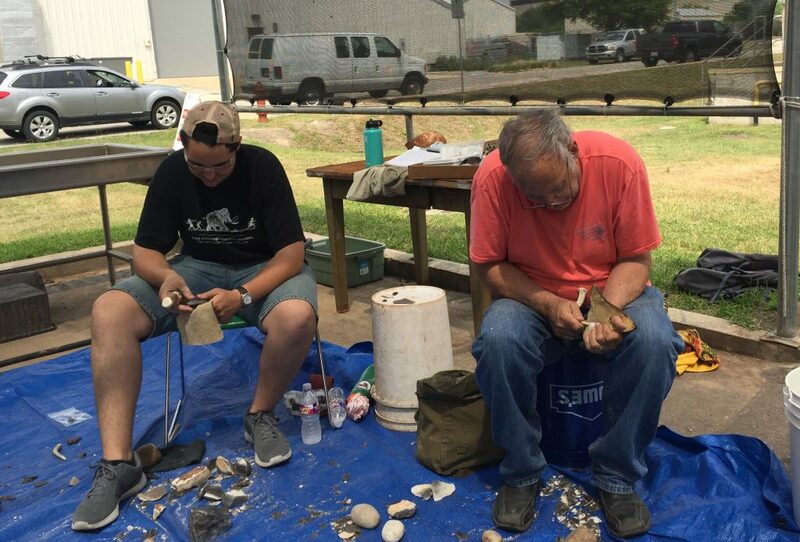 I am looking for a flint knapper to come do a demonstration to my 5 Texas History classes in DWF area. Hi Becky, I will pass your request on to our community of flintknappers. They may not be able to make it up to DFW, but they might be able to put you in touch with someone in that area. Thanks for your interest!